In 2012 we sent our office manager (and now recently trained mediator), Melissa Day, to the ABA Tech Show with one mission: bring back a plan for transitioning our office to a paperless office. We have discovered that in the legal business this is never a complete process, but an ongoing mission. Becoming a paperless office requires finding the right balance with clients and other professionals who aren't ready to take that leap, as well as constantly reevaluating the technology we use. Three years later, it is probably the most important practice management decision we've made, and we're still learning all of the ways it impacts our office. For the most part, we believe having everything stored electronically gives us more flexibility with our client interactions, storage options, backup, and recently I took a second look at that most iconic of business/lawyer technology: the briefcase. Without Briefs I Don't need a Briefcase! While briefcases have evolved, they ultimately are still designed for something I'm not carrying anymore. The briefcase is, by definition, meant to carry paper briefs, and most are poorly designed to carry a laptop, tablets, smartphone and all the cords that go with them. Of course, that's no surprise because lawyers aren't exactly the quickest at adopting new technologies or trends (want a ridiculous example: it seems pantsuits are still frowned upon for women in big law). This is a pretty simple list and many laptop bags will fit these priorities fairly well, but only one really stood out: the Tom Bihn Synapse 25. Yes, that is a Bat'leth letter opener. Protection: My first priority was protecting the investments that I carry around and which allow me to maintain a paperless office: laptops and tablets. The Synapse has a great design for carrying and accessing my laptop (and for traveling with it through TSA checkpoints), using a rails system and an interior cache. More importantly, the bag itself has a durable feel to it and I am very comfortable that my laptop and tablet are safe in this bag. All the Small Things: Tom Bihn has considered so many tiny design details all of which taken individually would be impressive on their own, but which together add up to a significant improvement over other laptop bag options. Tom Bihn's accessories page is a very exciting place for an organization geek. There are numerous options for thoughtfully arranging the items you pack into the interior of your bag, including smaller bags, and even smaller bags, and... you get the idea. Anything that helps me organize my work bag and access what I need from it quickly helps me do my job more efficiently. My favorite accessory by far is the snake charmer, which fits perfectly in the bottom pocket of the Synapse and holds all my laptop accessories and cords in one place. I don't know why it never occurred to me before to consolidate all my cords in a smaller bag, but this has proved very convenient. A Backpack? Aren't you worried about looking unprofessional? Now that my practice focuses primarily on mediation and less on litigation, I worry less about appearances and more about practicality and efficiency. Clients who come to my office want solutions not a hired gun, and they respect efficiency more than flashiness. I have used messenger bags and briefcases and my biggest complaint about both is that they are not comfortable over a lengthy period of time. Even if you have a light laptop, when you start adding cords, and tablets and other accessories, your bag will have considerable weight. Just adding a water bottle makes a huge difference in how long I can put up with a messenger bag over one shoulder. First, the Synapse is designed around a central water-bottle sized pocket, which makes it more comfortable to carry for a distance with a heavy bottle. This is an ingenious backpack improvement if you've ever hiked with a backpack that holds the water bottle hanging off to the side. Despite having this amazing hiking feature, it still has a very simple straightforward design that doesn't have to look like you're hiking. The other simple design element that adds to the professional look of the Synapse is the inclusion of removable chest and waist straps. Ultimately, I decided that the comfort of a backpack far outweighed any concerns that it might not be as stylish with a suit. The Synapse allowed me to retain as much style as possible in the backpack form, especially with the significant array of color combinations (my color choice was gray with purple lining - matching one of my favorite suit & tie combinations). P.S. Working with nice people is nice! The final point I want to make is one that wasn't even on my radar when I started looking for a new work bag. I am admittedly lazy at times regarding the quality of the company that I am buying from. As the owner of a small business, I make so many purchasing decisions that sometimes I don't take the time to get to know who I'm doing business with. But once in a while a company reminds you why that matters. Tom Bihn, as a company, impressed me in two immediate ways that make me want to see them succeed: great customer service and local manufacturing pride. Hollie, their Bag Guru, e-mailed back and forth with me for three days (replying almost immediately every time) to answer every question I had about the Synapse and how it might fit my needs. This attention to detail seems to be present in their attitude about how they manufacture their products as well. Manufacturers have a lot of cheap options for materials and labor outside the United States, but Tom Bihn tells you on their website about the importance they place on making their product in America. Even more impressive than the sentiment is the fact that their whole operation is visible on their website: including a web-bio for each of their seamsters and seamstresses. How unusual and cool is that! Customer service is something you just can't fake, and while it doesn't drive my initial buying choice as often as it should, it will bring me back to a company again and again. Tom Bihn was kind enough to provide me with this Synapse 25 to review, but I am so impressed by it and them that they have been bookmarked as my first site to visit the next time I need any type of travel, fun or work bag. The SJC reached a decision on 1/30/2015 on three cases that interpreted the modification provisions of the Alimony Reform Act. The SJC disagreed with our prior interpretation and decided that the provisions on retirement age and cohabitation can not be read retroactively. To read more on these decisions check out our post here: Lifetime Alimony is Back (for some)! - Chin v. Merriot. Click here for more information about Modifications in Massachusetts. Three months ago we told you about three very important pending cases that were argued before the Massachusetts Supreme Judicial Court, all three having to do with the issue of alimony modification. Today, the SJC released their decision on these three cases (Chin v. Merriot, Rodman v. Rodman, and Doktor v. Doktor) and in doing so they have created two clearly separate classes of alimony cases: those cases that were decided prior to March 1, 2012 and those that were decided after March 1, 2012. On March 1, 2012, the Alimony Reform Act took effect, and it included limits on the amount and duration of alimony orders going forward. It was the law before the Act, and still is, after the Act, that alimony orders which are merged into the Judgment are modifiable if there has been a material and significant change in circumstances. The Act also provides that the duration of old orders can be modified based solely on the "durational limits" in the new Act, even if there hasn't been a change in circumstances. The question that the SJC faced in these three cases is whether the duration of alimony could be modified on pre-Act cases for any limitation in section 49 of the statute, or only based on the specific duration limits that apply to marriages that were less than 20 years in length: section 49(b) only. This is a significant issue because for post-Act cases alimony can be terminated upon reaching full Social Security retirement age, or if the recipient shares a common household with someone new. If these provisions don't apply to pre-Act cases then "lifetime alimony" will continue for any pre-Act alimony payors and recipients who were married for more than 20 years. The SJC in Chin v. Merriot determined that "both the retirement provision and the cohabitation provision apply prospectively" only. The Court bases its decision on principles of statutory construction which require that each word be given its plain meaning unless otherwise defined. The Act in Section 4 makes an exception for retroactive application only for "existing alimony judgments that exceed the durational limits under [G. L. c. 208, § 49,]." But the Act fails to define "durational limits" beyond its plain meaning, which according to the SJC in both Chin and Rodman, means that the prospective exception can only be referring to section 49(b). Prior to these decisions, the prevailing belief, which the Act was criticized for (including in this WCVB news report), was that all the duration provisions in section 49 applied retroactively, including the retirement and cohabitation provisions. Some believed this was unfair to recipients who depended on these funds, but many believed the Act allowed for this modification because of the language in section 6 of the act which allows modification to be sought on or after March 1, 2013 by "...any payor who has reached full retirement age, as defined in [G. L. c. 208, § 48,] or who will reach full retirement age on or before March 1, 2015." This section seems superfluous if retirement is not including as a "durational limit." "Read together, uncodified §§ 5 and 6 establish that, where a payor who had been married to a recipient for fewer than twenty years seeks to modify an alimony obligation based on the durational limits of G. L. c. 208, § 49, and the payor also will "reach full retirement age on or before March 1, 2015," the payor may file a complaint for modification on or after March 1, 2013, '[n]otwithstanding clauses (1) to (4) of [§] 5'." Essentially the SJC has decided that Section 6 is just a very narrow exception to the filing dates in Section 5. While I personally believe that it is very unlikely that this was the intention of the legislature or drafters, the reality remains that there was an ambiguity left in the Act which left room for this interpretation. If Section 4 referred directly to the portions of section 49 by letter, there would be no ambiguity. However, it did not and unless the legislature makes a change, now that the high court has ruled there is no longer an ambiguity on how the Act will be applied. 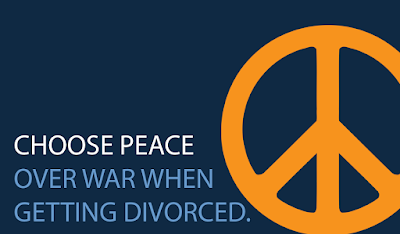 If you settled your case or it went to Judgment prior to March 1, 2012 and your marriage was longer than 20 years, then the same standard does not apply to your case as applies to people divorcing now. Some will think that's fair and others won't, but the bottom line is that for some "lifetime alimony" remains the law... but only for some. How does a second job affect child support or alimony? In Massachusetts, both the child support guidelines and the alimony statute address second job income. One key question for both child support and alimony is determining when the additional income started. The definition of income for both child support and alimony starts the same. M.G.L. Chapter 208 Section 53b states (with some limitation) that income for determining alimony shall be defined as set forth in the Massachusetts child support guidelines. The child support guidelines define income as "gross income from whatever source regardless of whether that income is recognized by the Internal Revenue Code or reported to the Internal Revenue Service or state Department of Revenue or other taxing authority." The guidelines then go on to list numerous types of income that would be included. In the child support guidelines, second job and overtime income are addressed immediately after the definition of income and start with the presumption that the income is included. The court can include or exclude all or some of the additional income even if it was earned prior to the initial order, but if the court excludes it they have to consider certain factors "including but not limited to the history of the income, the expectation that the income will continue to be available, the economic needs of the parties and the children, the impact of the overtime on the parenting plan, and whether the extra work is a requirement of the job." Essentially this means the Judge has broad discretion, but starts with the presumption that the income is included unless these factors weigh against that presumption. begins to work overtime, neither of which was worked prior to the entry of the order, there shall be a presumption that the secondary job or overtime income should not be considered in a future support order." This encourages people to supplement their income without being punished for it, which makes sense. In addition, this is only a presumption which could be overcome if, for example, the payor was underemployed in the first place and this second job really just brings them up to a more appropriate base income. Because the standards for determining an amount of alimony vary from those for determining child support, the second job income's affect on the payor's "ability to pay" could result in a different determination than the findings required for including or excluding second job income for child support calculations. However, there is a presumption in both cases that if the income starts after the initial order, then it is not included. This issue was specifically addressed as to an alimony modification by the Appeals Court in the recent Vedensky decision. Visit our main site for more information on alimony, child support or modifications.